Narcolepsy–cataplexy, narcolepsy without cataplexy, and idiopathic hypersomnia are three major primary hypersomnias, and these hypersomnias are currently diagnosed mostly by sleep phenotypes. Since a substantial clinical overlap among these hypersomnias has been noted, biology- and pathophysiology-based diagnostic tests are urgently needed in order to understand the mechanisms of disease and to provide better treatments. 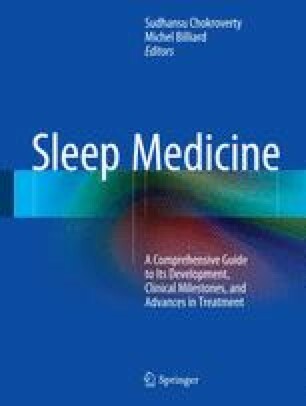 Recent progress for understanding the pathophysiology of excessive daytime sleepiness (EDS) owes particularly to the discovery of narcolepsy genes (i.e., hypocretin receptor and peptide genes) in animals in 1999 and the subsequent discovery of hypocretin ligand deficiency in idiopathic cases of human narcolepsy–cataplexy. Hypocretin deficiency is also involved in many cases of symptomatic narcolepsy and EDS cases. Changes in other neurotransmitter systems, such as monoamines and acetylcholine, previously reported in these conditions, are likely to be secondary to the impaired hypocretin neurotransmission, but these may also mediate the sleep abnormalities seen in hypocretin-deficient narcolepsy and in other less-defined hypersomnias. The pathophysiology of hypocretin nondeficient narcolepsy is debated. Similarly, the pathophysiology of idiopathic hypersomnia is largely unknown, but hypocretin deficiency is not likely be involved in this condition. The clinical and pathophysiological aspects of EDS with various etiology are discussed.